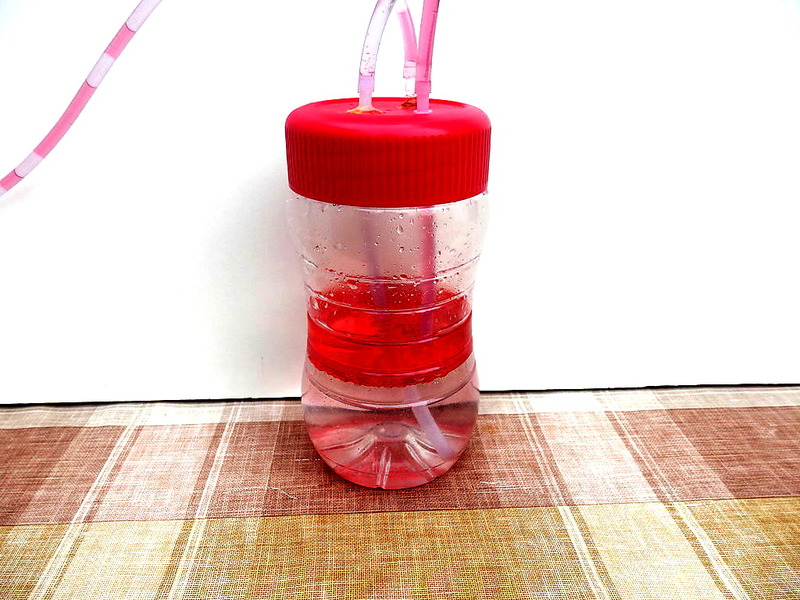 This was a demo project for the Maker Faire Hannover 2016. The project was inspired by the work of the artist Julius Popp. 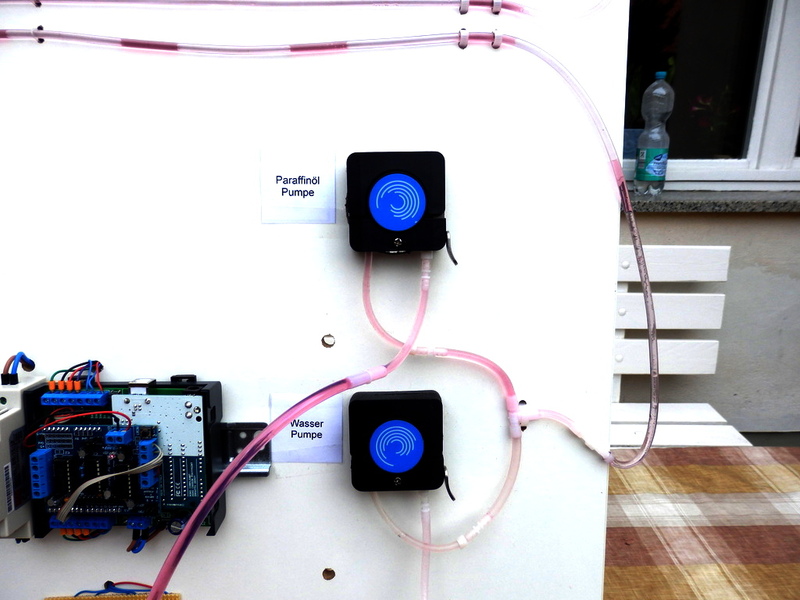 We are using a transparent hose, 2 peristaltic pumps and an Arduino Uno with motor shield to build a simple display. The pumps pressing a pattern of water and red paraffin oil in the hose. In the end a text will be visible. 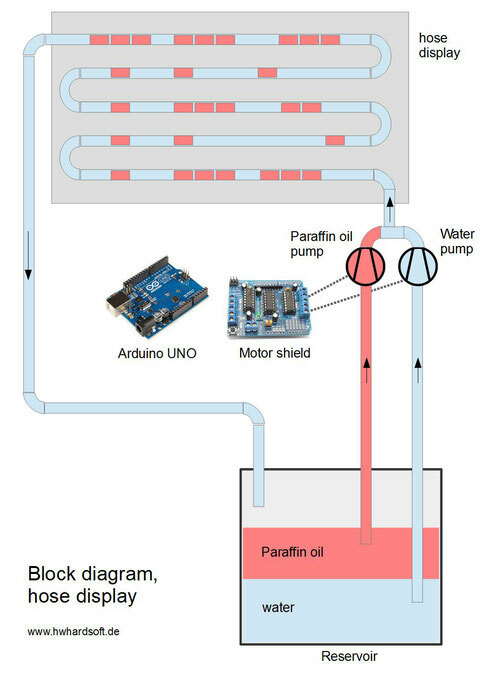 The Arduino UNO can control both peristaltic pumps via a motor shield. 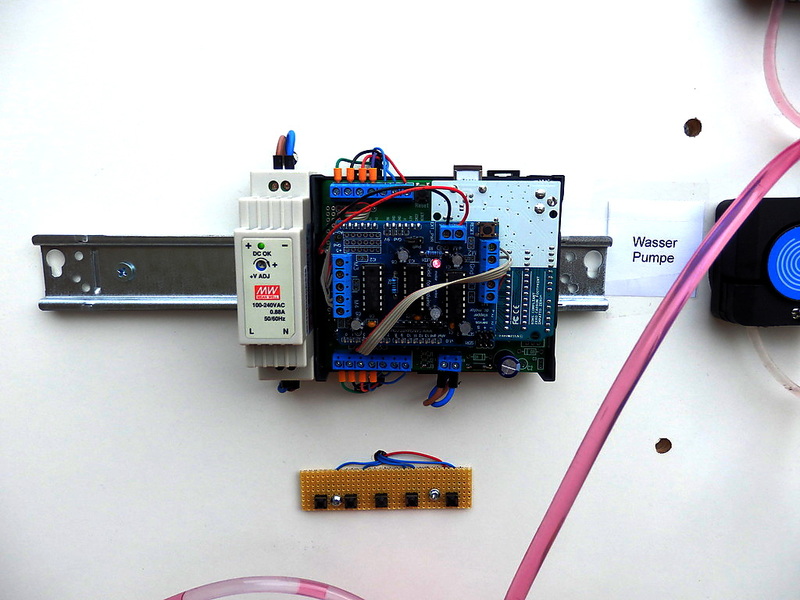 Everything of the control unit is mounted in our Arduibox-enclosure.